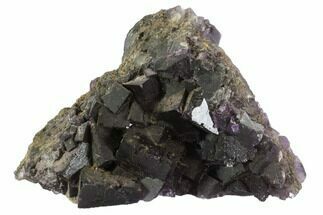 This is a huge, plate of lustrous, purple fluorite cubes on matrix from Harden County, Illinois. The entire plate is 15 inches wide and weighs 37 lbs. The largest cubic crystals on the plate are just over an inch wide. Most of the crystals are damage free with the exception of some along the edge of the cluster which are broken. A gorgeous, cabinet sized display specimen from one of the most sought after Fluorite localities in the world. 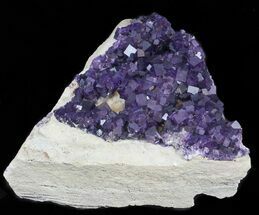 Fluorite is a halide mineral comprised of calcium and fluorine, CaF2. 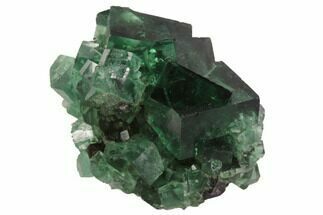 The word fluorite is from the Latin fluo, which means to flow. 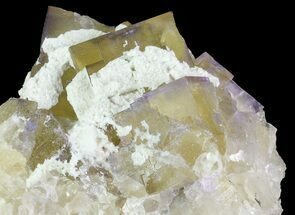 In 1852 fluorite gave its name to the phenomenon known as fluorescence, or the property of fluorite to glow a different color depending upon the bandwidth of the ultraviolet light it is exposed to. 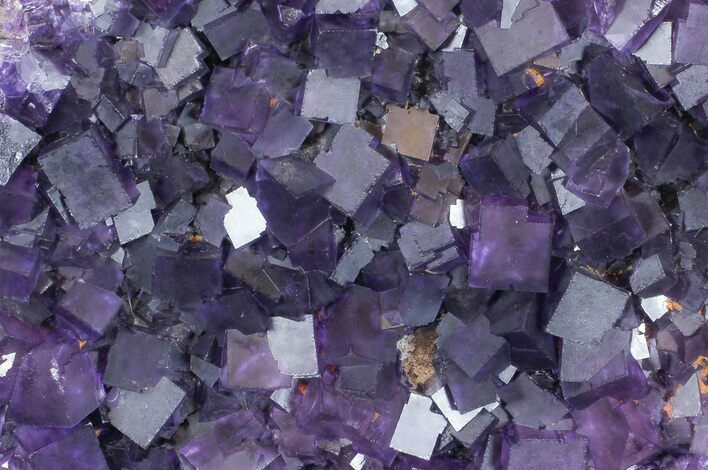 Archaeological discoveries near the Cave-In-Rock mining district of beads and other ornaments made of fluorite have placed the use of the stone to about 900 years ago when the land was inhabited by the Native Mississippian Americans. 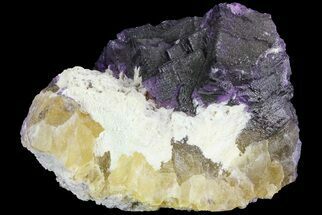 Early European settlers mining for galena in the 1830's discarded the fluorite as the lead they sought was more valuable at the time. 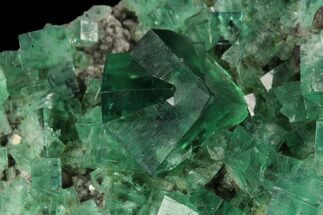 In the 1880's it was discovered that fluorite was very useful in a new steel-furnace technology, and demand increased considerably, and several commercial fluorite mining companies appeared in Illinois/Kentucky region.